in bringing a variety of programs to the area over the years. with the finest musicians and musical talent. Please check our site regularly to see what we are up to. Here are some upcoming events along with images from previous programs. "A moment with the Beloved and the river changes course." The MEDICINE BUDDHA MANDALA offers us a great way to attune ourselves to healing energy.... not just for ourselves but to all sentient beings and all parts of the world. Come send healing energy to anyone you feel may be in need of it. Join us for this very special and rare evening to experience, sing, chant and meditate in the presence of a Sacred Medicine Buddha Sand Mandala by Sera Jey Monks in true monastic form. It is rare in the west to have an opportunity to sit and experience a mandala in true temple style and practice healing dharma. 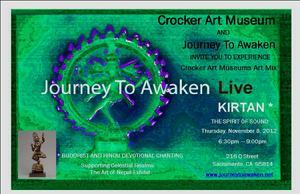 This sacred and rare evening will be in Lions Roar Do Nga Dargey Temple and open to everyone. No experience in dharma or singing needed. 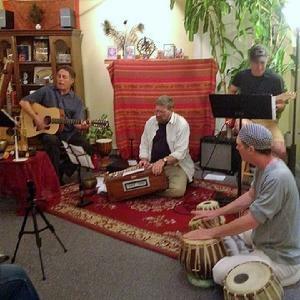 Experience ancient cosmic chants, Buddhist, Hindu, Christian, Jewish.etc, played in traditional eastern Kirtan style music with Indian instruments. In the mix there will be a sprinkling of western contemporary, soul and gospel songs as well as blending these sounds with some of the ancient chants. This unique blending of eastern and western music styles with inspiring stories is sure to touch the heart and soul. We hope you will join us for a joy filled and uplifting program. No music or singing experience needed. Meet the group. 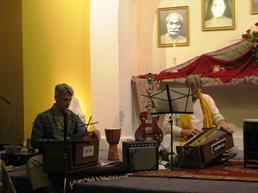 Sattva Guna Kirtan, the most talented group of musicians I have ever had the opportunity and joy to work with. as the Sattvaguna Soul Band. contemporary songs and music with soul and gospel blends. 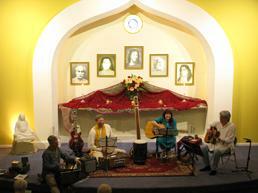 through out the evening’s program along with traditional Kirtan style music. All are welcome so invite your friends. No previous music, singing or chanting experience necessary. Events are no charge supported only through your generosity. 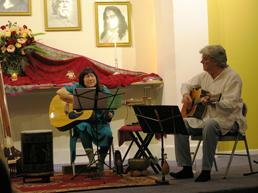 Exploring the relationship between music, chanting and meditative awareness from dharma and yoga insight. ourselves to the upcoming Holiday season. the holiday season along with some group favorites in English honoring the Christ Consciousness. must come with a desire to have fun. the Sanskrit/Pali word for generosity. More dates to come so please check back. music and chanting are powerful methods top open our hearts, quiet the mind, uplift our spirits and attune ourselves to a deeper part of our being. As always there is no charge. Programs are supported only through Dana...the Sanskrit word for generosity. to Awaken the Soul on the Journey Home. share in food and drink before and after. this event and BGR’s work to help feed the hungry. to support and help feed the hungry. and BGR’s work to help feed the hungry. 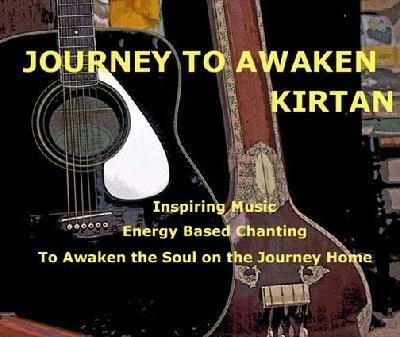 Journey To Awaken Kirtan will join with the Ananda Kirtan Group to open with chanting for this special evening of Indian Raga. 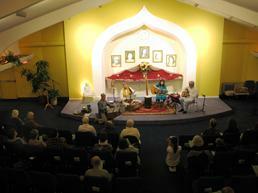 An evening presentation on the practice of chanting. No experience necessary, all are welcome. Come join in the joy of chanting. Open to everyone. No experience required. The 2nd Sunday evening each month. This months Lions Roar date is February 13th. and Michael Halfhill founding member of the Dalai Lama Foundation. bringing this Interfaith exhibit to the area. Lions Roar Dharma Center on July 24th, 2010.
and will be speaking on the Heart Sutra. together and end with a meditation. For more about Choden Rinpoche please go to www.lionsroardharmacenter.org. at Lions Roar will be canceled for July.